NEW for Fall: Same Vest, More Black Swan Sophistication! Ballerina style announcement! 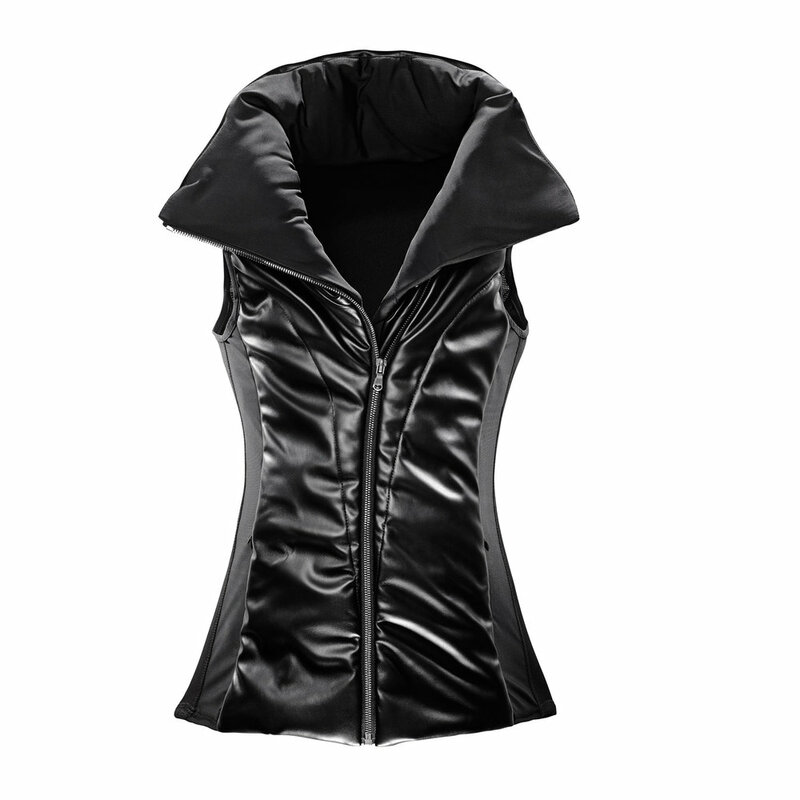 Our beloved Odile Vest by FLX now comes in TWO styles that would make any black swan swoon. The Vest front is covered in a faux leather to hold in warmth on the coldest of Fall days, whether heading to Pilates, Yoga, HIIT or ballet class. Transition seamlessly from your busiest Autumn activities in the city - suitable for that late Brunch after your workout. Other features include invisible side zippers, contoured construction for a sleek fit, compressibility for travel, and the classic, offset front zipper for a fashionable look. Add another signature piece to your Fall wardrobe with the aesthetic & qualities ballerinas crave in a great warm up.